I talked about the Outsider series years ago; I honestly thought I had read them all. I am a little chagrined to find out that there was another tale. Glad you posted this. 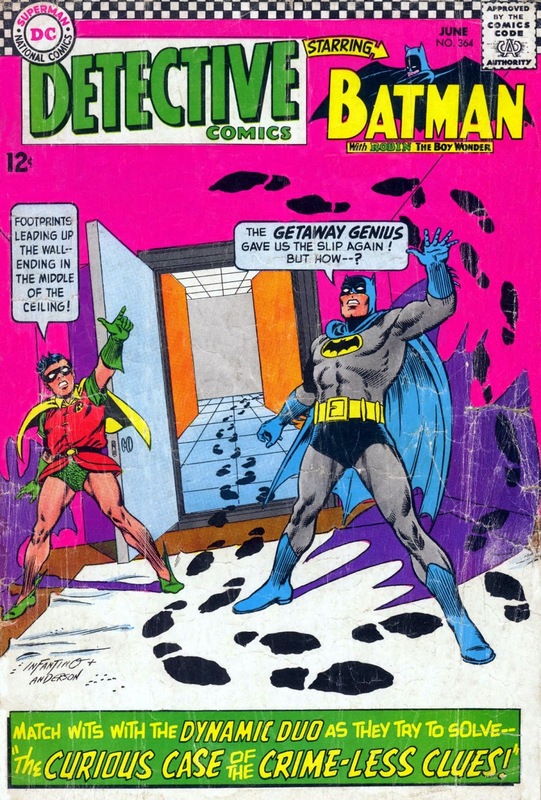 The cover is another silver age gem by Carmine Infantino and Murphy Anderson, enhanced by a marvelous Jack Adler coloring job. Also, this comic contains two pages worth of letter columns, including a letter by Drury Moroz, a contributor to early fanzines. "So, um...now that Alfred had an unexpected relapse and was acting like the Outsider again, is there any problem in continuing to entrust him with all our secrets and giving him control over every aspect of our lives?" "None whatsoever! That seems fine to me!" 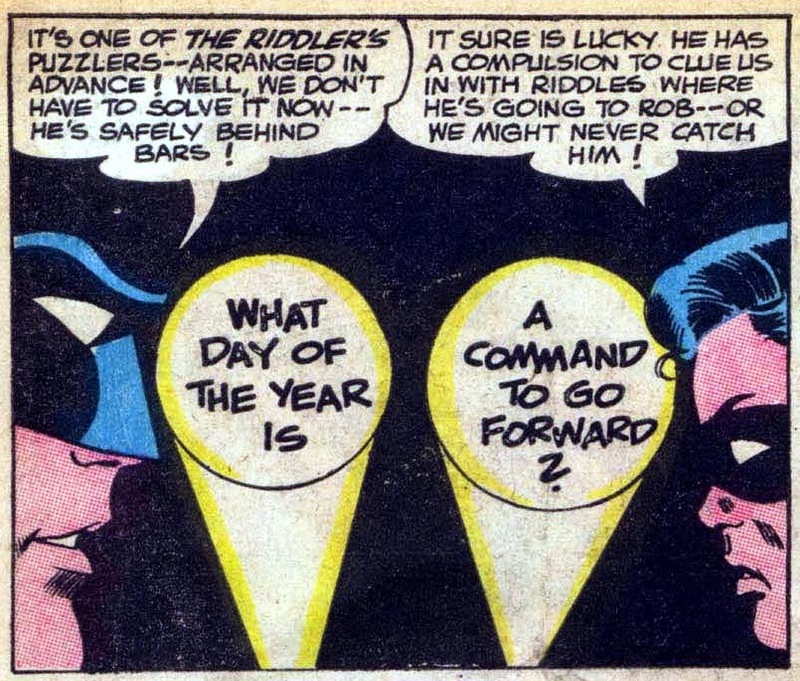 "It's one of the Riddler's puzzlers--arranged in advance! Well, we don't have to solve it now--he's safely behind bars!" Yeah, because forget the possibility that he might be planning ahead. 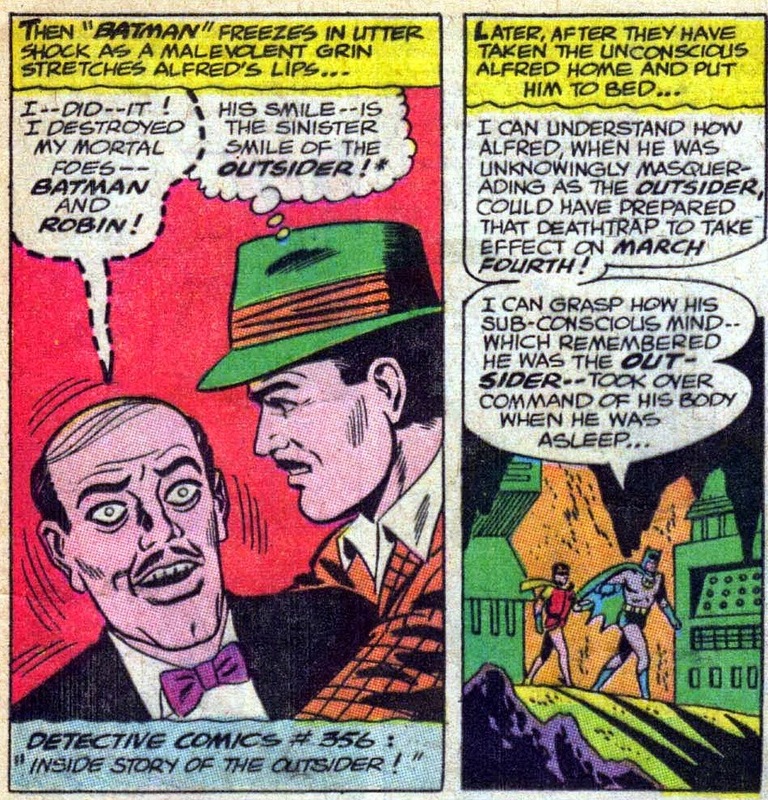 The World's Greatest Detective, everybody!